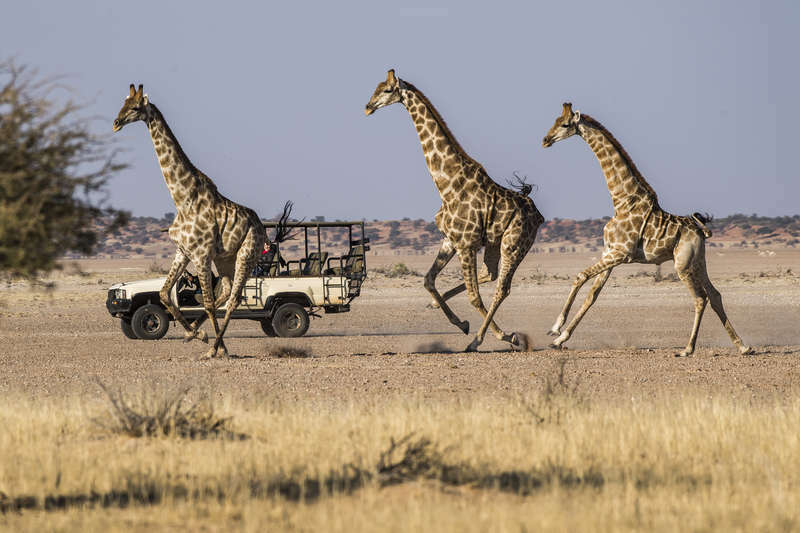 We have a game lodge in Namibia situated in the Kalahari desert with a lot of different wildlife which mounts up +- 4600 head of game and between 18 to 20 different species and also 150 to 180 different birdlife in a private reserve of 10 000 hecatres. 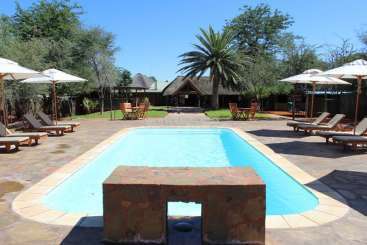 The Lodge is situated about 250 km from Windhoek, the capital city of Namibia and 40 km to the east of the nearest town, Mariental. The lodge is made up of different types of accommodations with chalets out on the dunes as well as several campsites with ablution and cooking facilities. Within the hotel, there is a restaurant, bar, entertainment area and swimming pool. 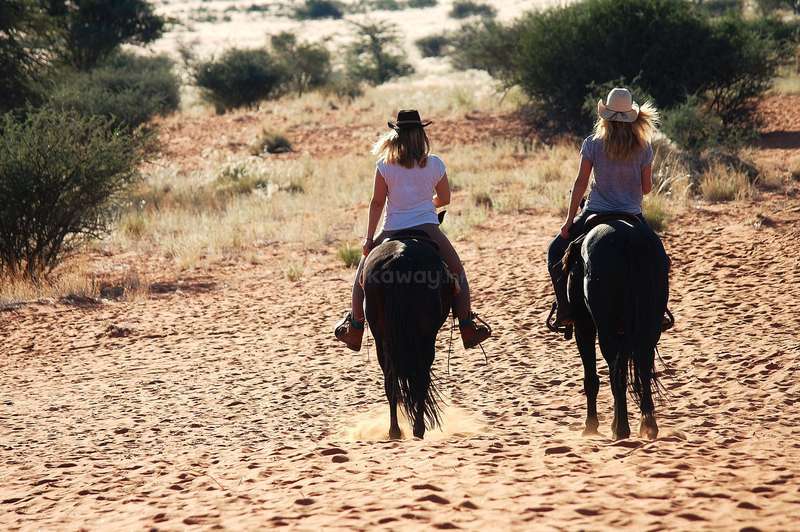 Behind the lodge are the stables where there are 20 horses (quarter horse mixed with namibian wild horse). 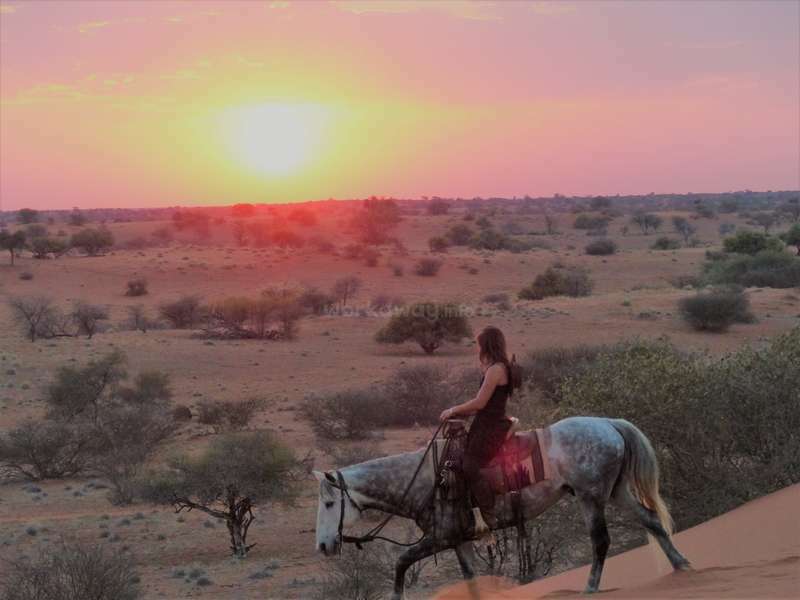 The activities are the following: Game Drives [morning ,day and night ], Sundowners, Bushmen Walk, Cheetah feeding, Horseback Safaris, Stargazing with 10 inch computerised telescope and sun telescope during the day, Massages in Spa, Curio shop. We mainly cater for the international market and a small percentage on the local market. Most of our guests speaks French, English and German. Our food and service are on a very high standard. 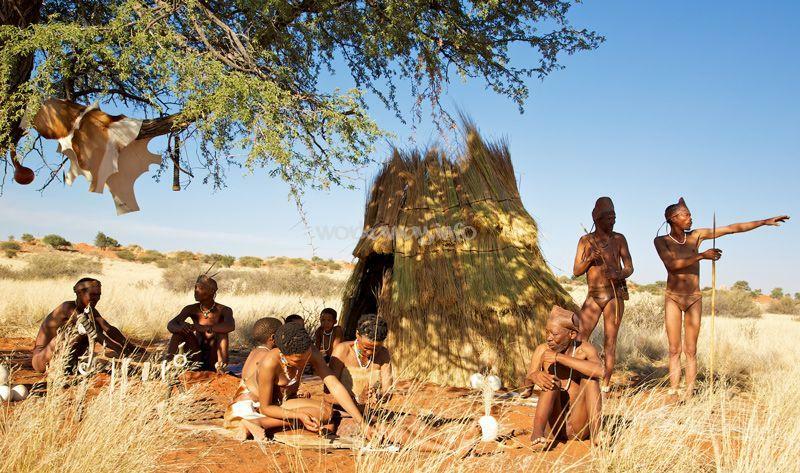 There are about 80 workers living in the lodge, all from different tribes (bushman, Damara, Nama, Owambo…). Most of the staff speak english and afrikaans. The managers speak French, German and English. 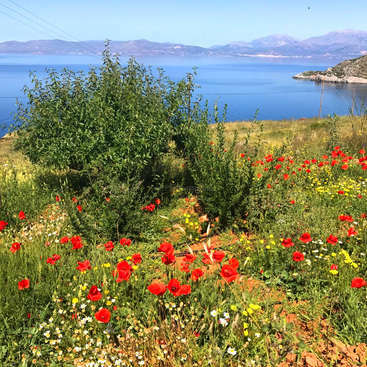 During your stay, you will be part of the big family and you will stay with two other volunteers. -	Have a positive attitude! We need you to stay at least 1 month ½ for the animals to get used to you. We would prefer if you stay 3 months. IMPORTANT : For this position, your maximum weight is 80kg. Before you are allowed to train a horse or go for a safari ride, your riding skills will be tested. You will be prevented from riding if we think your skills and abilities are insufficient. So, please don’t let this happen! 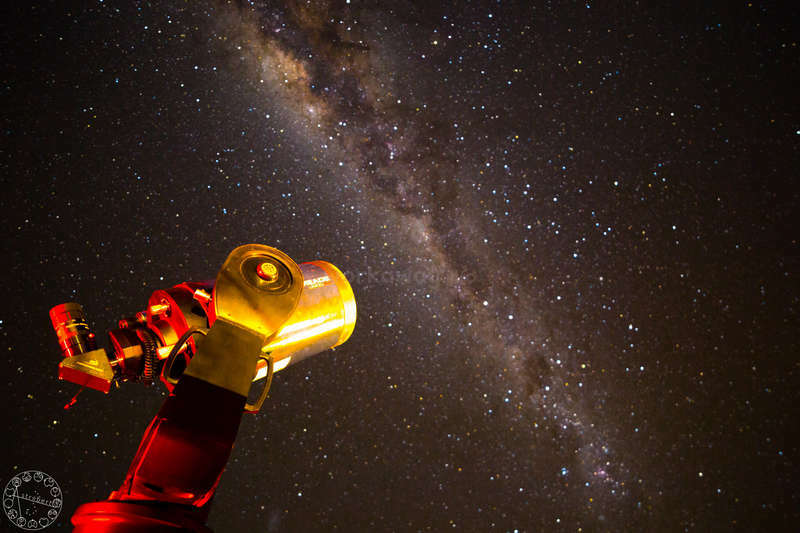 --> Purpose of your position : Namibia is one of the best country for stargazing. You will ensure the stargazing activity on your own and translate in French or German when recquired. You will help in other duties the rest of the time. --> You are under the authority of the astronomer, Panda, and the lodge directors, Etienne and Angela. --> Your purpose is to assist the cheetah master four times a day during feeding hours of the cheetah. You will also help in other duties the rest of the time. --> You are under the authority of the cheetah master, Göran, and the lodge directors, Etienne and Angela. PLEASE NOTE : You may be shared out from all these tasks depending on the specific needs we have (sometimes we have a lot of baby animals, sometimes more maintenance to be done, also depending on your riding experience). You will be housed in the guide rooms, which are very comfortable however your stay there will depend on availability, and as such you may be asked to vacate your room quite frequently for visiting guides. You have free access to the reading room, the lounge/television room. Meals and beverages [no alcohol drinks included] are free of charge.There is a quite good internet at some places of the lodge but you may not have it in your room. Certificate will be issued from the lodge to them after completing their term. Get a nice sun tan! Auriane is the best volunteer we have welcome in a long time ! She worked as a Stable Manager in our high-end lodge, as long as she has experience in tourism and management, she managed to stable with organization and intelligence and she has very good communication skills to work with international customers. She was in charge of the cowboy team… read more and the volunteers and she created a pleasant working atmosphere out of it ! About the horses, she is a very good rider and she also has very good knowledge in basic vet care to deal with emergency cases. She improved a lot the well-being of the horses, improved the routine and adapted the food depending on their daily efforts. She also has knowledge in horsemanship and horse communication. Therefore, she trained one of our green horse and worked with the difficult horses. I highly recommand Auriane in any job with horses, farmwork and animals ! She is smily and funny, you'll have great times with her ! WOW ! Peter is the kind of volunteer you will not forget ! He is so willing to learn and experiment new adventures youbcan rely on him for basically everything ! He has done maintenace, petted three baby jakkals as if he was their mother, tamed wild antilop, became friend with Flash, one of our cheetah... He also will not be forgotten from the… read more staff : he managed to bound relations with the staff regardless the differences of culture. He is smiley, open minded and has a rich personality that will never stop surprising you !! It was a real pleasure to daily work with him and Goran, our cheetah master, is missing him as a friend here ! We all wish you the bedt Peter ! Mathieu is a hard working and willing man. He is reliable on every task you can ask him, about maintenance, managing the staff or dealing with wild animals. Moreover, he may not be very talkative he still has a bigbheart, he is clever and comprehensive. He easily adapted to the place here and got on well with the staff because he is very open… read more minded. I highly recommend Mathieu for his working capacity and his human qualities. Here is the craziest place on earth ! Everyday something new and unpredictable happened. 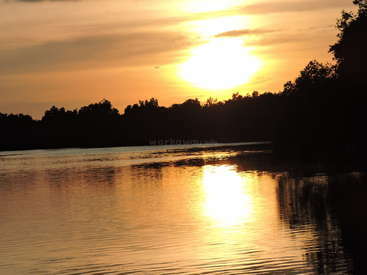 You will never get bored here because there is always something to do. We were very busy, i worked 7-8 hours a day, nearly every day, because we had to feed a lot of animals a few times a day. I fed Baby Springbocks and oryx, Cheetahs and many other… read more Antilopes. I also fixed fences, put gates, racked food for the animals and helped where there was help needed. The staff is very friendly, some are crazy, and the food was also great! 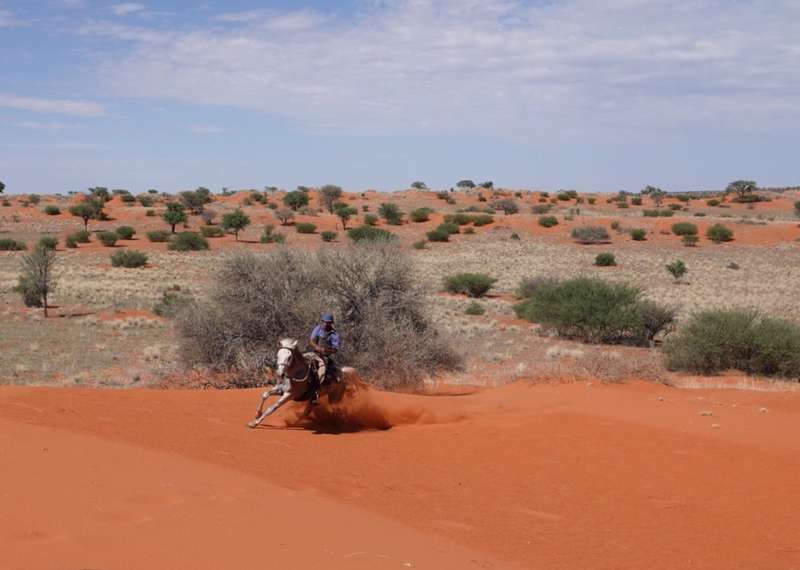 I stayed 8 weeks in Angela's and Etienne's Kalahari Ranch and I enjoyed a lot the work with their awesome horses. The staff felt like family to me and was always helpful and care taking. Unfortunately I had to move a lot… read more because of high season and a lack of volunteer accommodation. Keeping everything in good memory and hope to find back one day! 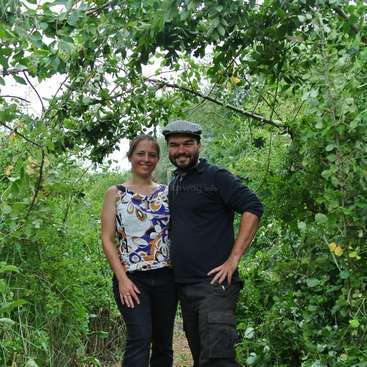 Thank you so much for this experience,… read more Etienne and Angela, and hopefully see you soon! This Workaway Experience was GREAT!!! I stayed for 6 weeks! I originally planned to stay for 6 weeks but after some time at the lodge I knew I wanted to stay longer so ended up being here 2 months in total. The lodge is beautifully located in the Kalahari desert. 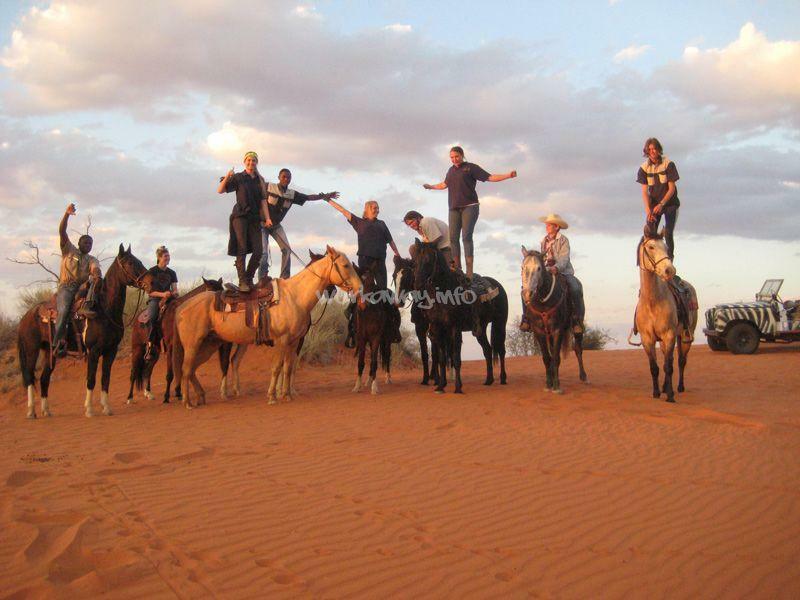 I came with a friend and our task was to take care of the horses, train them and taking guests out on horseback safaris. This was absolutely… read more great! The landscape is beautiful and you get to see so many animals. When there were no guests booked for a safari we would just go on a several hour trail ride our self. After a while I also started working in the kitchen to help baking the cakes for the guests tea time. The owners and the staff are super friendly and make you feel like family. You can do all the activities for free if there's room and you have time, e.g. 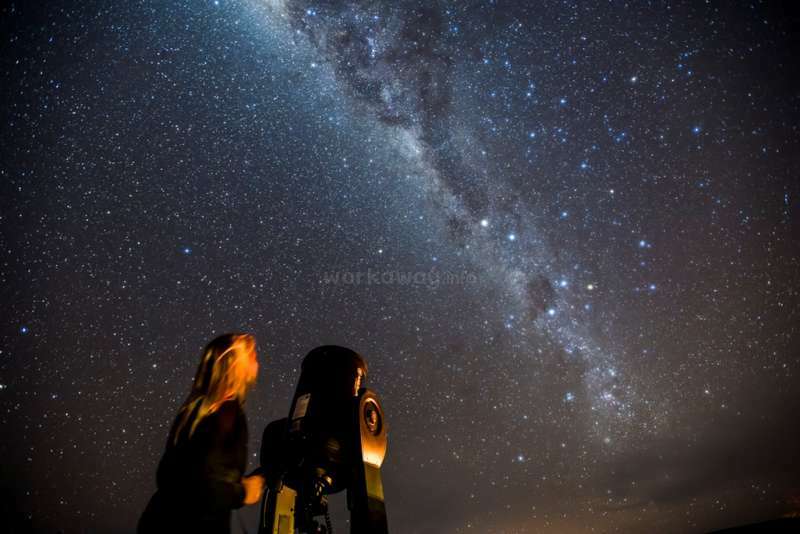 safaris, stargazing, bushmanwalk.. Thank you Etienne and Angela!